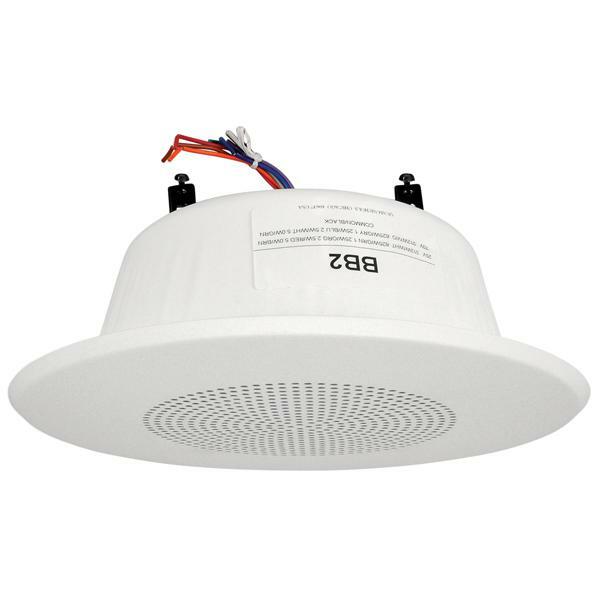 The BB2 is a complete, beam mount loudspeaker system consisting of an 8C10PAX - 8" O.D. dual cone loudspeaker with a 10 oz. 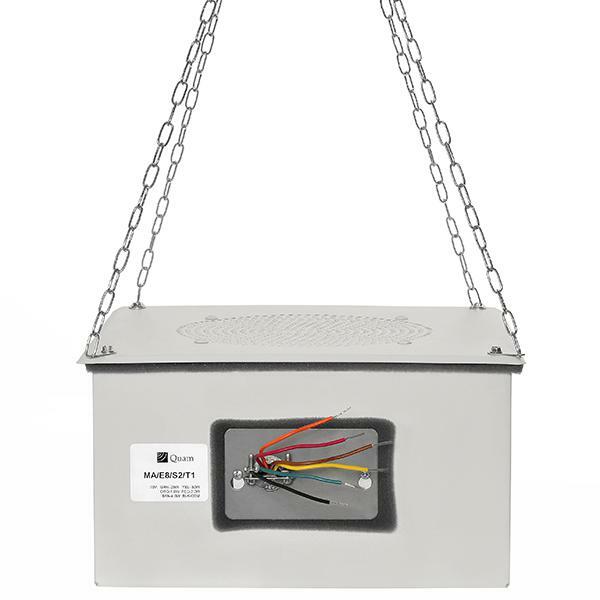 magnet, TBLU - 5W-25/70V transformer, BR8WS - round, studded baffle and two (2) beam clamps attached to a round, steel backbox. 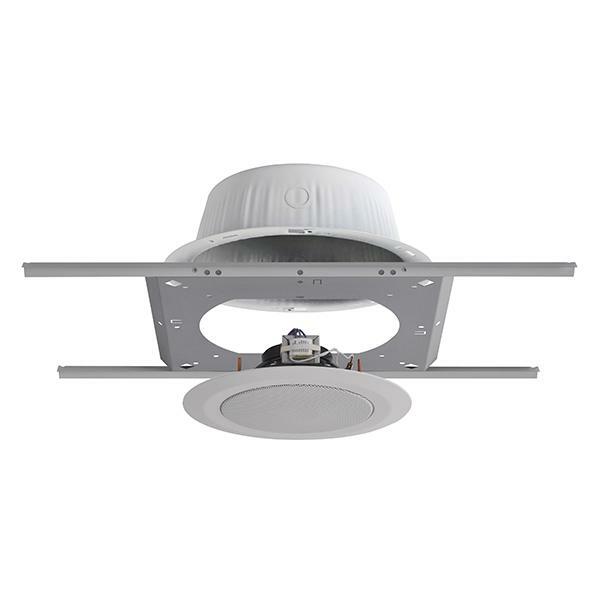 The MA/E9/S2/T8 is an 617 CID, ceiling grid mount, sound masking loudspeaker assembly consisting of an 8C10PAX - 8" O.D. dual cone loudspeaker with a 10 oz. magnet and a 4W-70V rotary select transformer. Support chain is supplied. 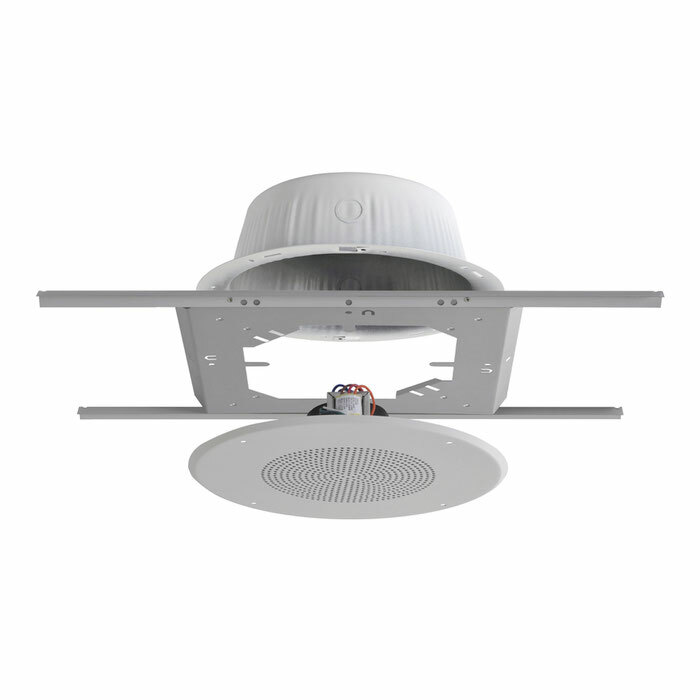 The QH16T is a double re-entrant horn, compression type loudspeaker with an integrated 16W-25/70V rotary select transformer and an adjustable mounting base. 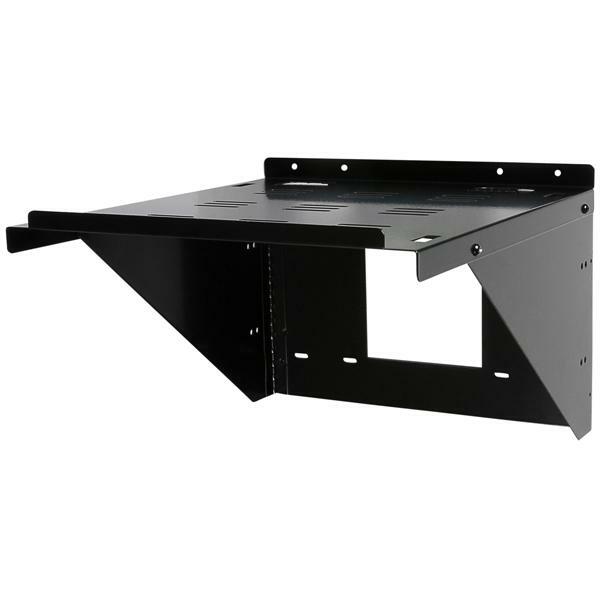 The AS11X12 is a wall mount equipment shelf with a 1/2" raised front lip, two (2) hinged support arms, and a maximum static load capacity of 40 lbs. 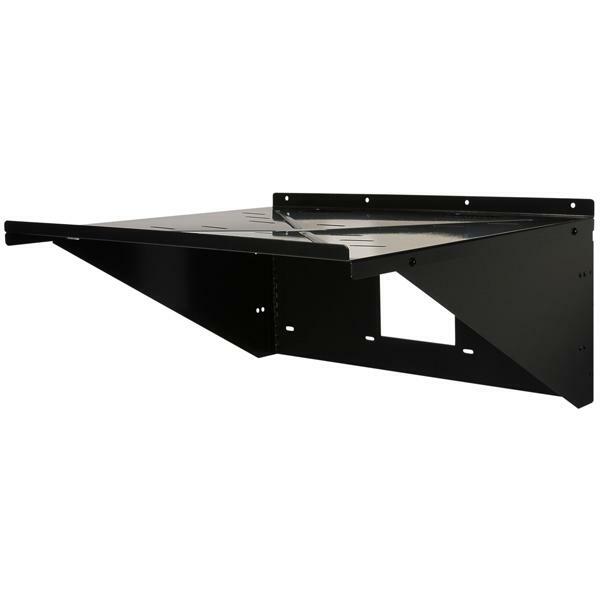 The BB2/70RS is a complete, beam mount loudspeaker system consisting of an 8C10PAX - 8" O.D. dual cone loudspeaker with a 10 oz. magnet, 4W-70V rotary select transformer, a round, studded baffle and two (2) beam clamps attached to a round, steel backbox. 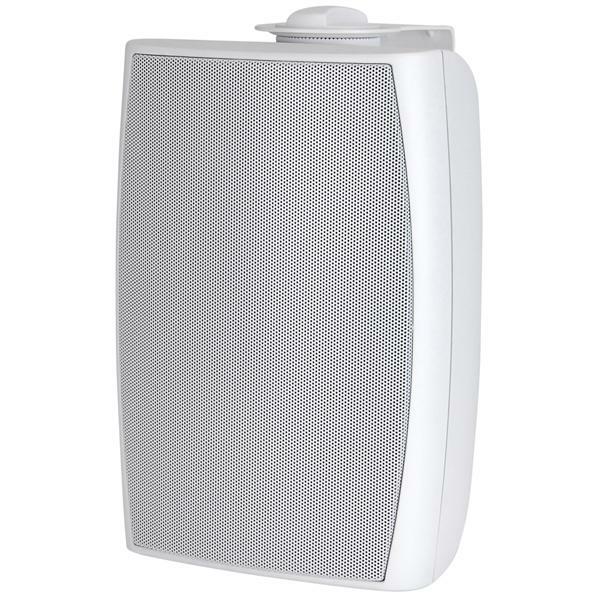 The C10X/B70/WS is a complete loudspeaker assembly consisting of a 8C10PAX - 8" O.D. dual cone loudspeaker with a 10 oz. 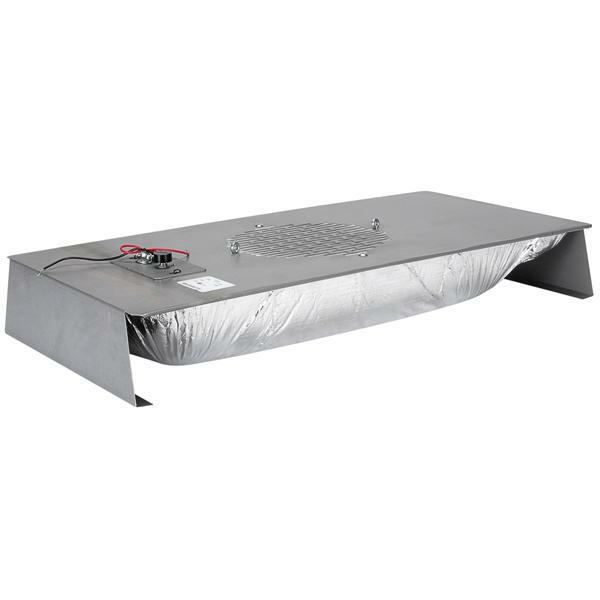 magnet and a TBL70 - 4W-70V transformer mounted on a BR8WS - round, steel, stud mount baffle. 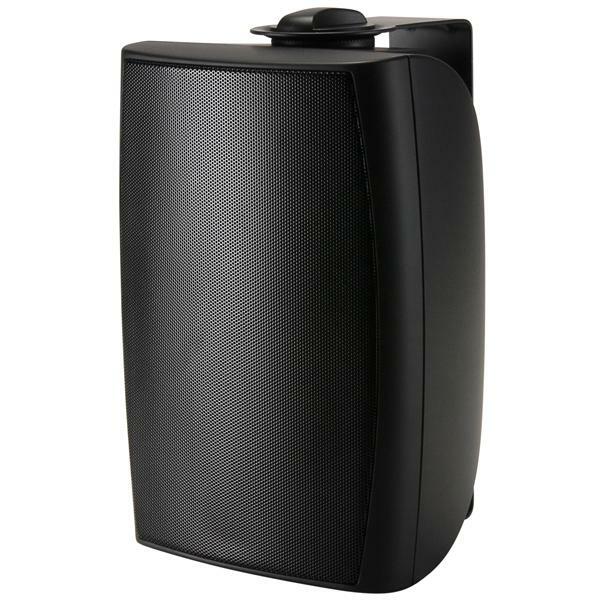 The C10X/B70/WS/VC is a complete loudspeaker assembly consisting of a 8C10PAX - 8" O.D. dual cone loudspeaker with a 10 oz. magnet, a TBL70 - 4W-70V transformer, and a volume control mounted on a BR8WS - round, steel, stud mount baffle. 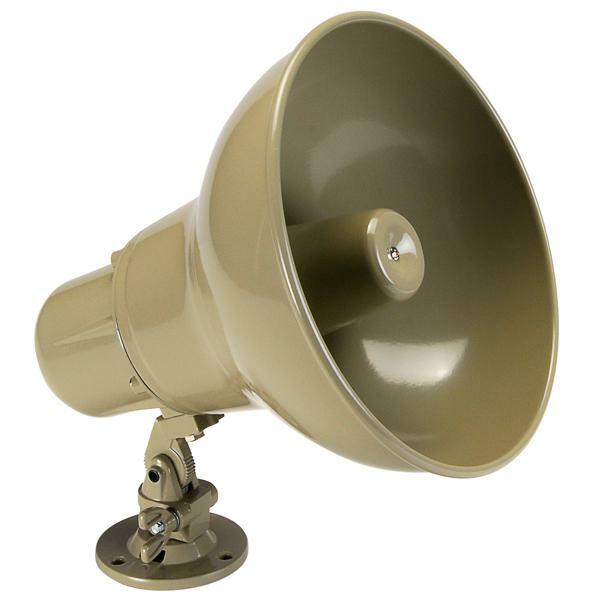 The C5/B25/W is a complete loudspeaker assembly consisting of a 8C5PAX - 8" O.D. dual cone loudspeaker with a 5 oz. magnet, a TBL25 - 4W-25V transformer and a volume control mounted on a BR8W - round, steel, screw mount baffle. 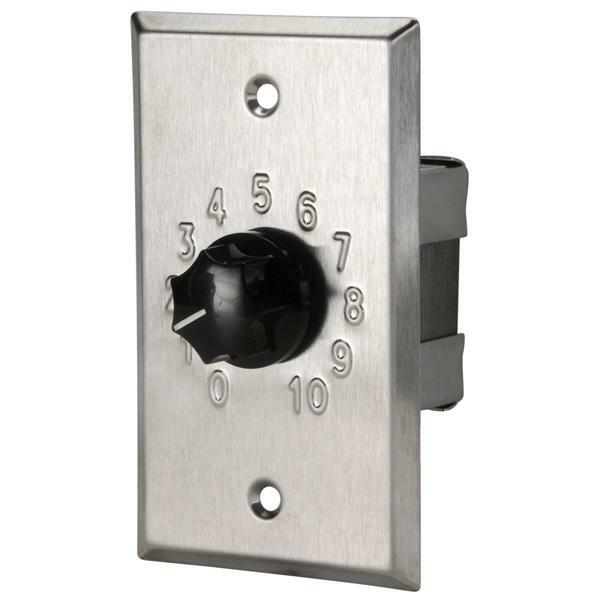 The CIB6 is a two-gang, vandal resistant call-in switch with a momentary (normally open) push-to-call button in a brushed stainless steel finish. 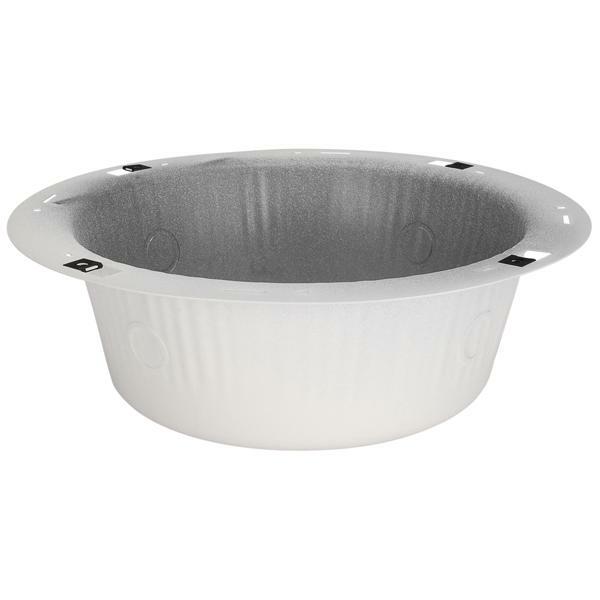 Tamper resistant, 6-32 x 1" 'pin-in-torx' hardware included. 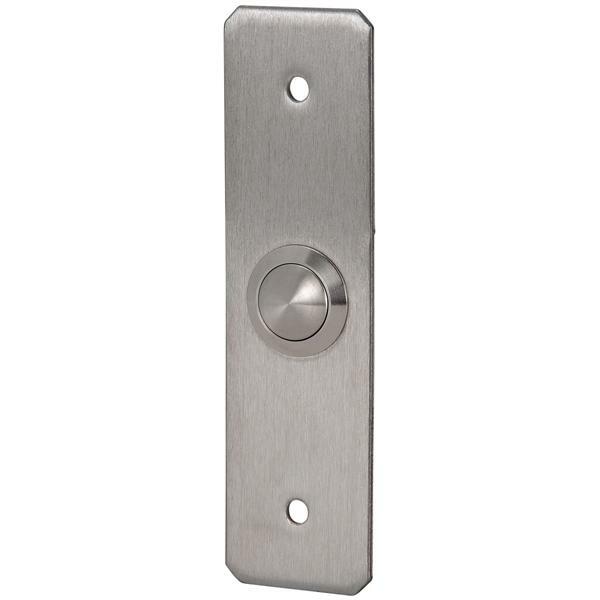 The CIB8 is a door-mullion, vandal resistant call-in switch with a momentary (normally open) push-to-call button in a brushed stainless steel finish. Tamper resistant, 6-32 x 1" 'pin-in-torx' hardware included. The FM4X1/70 is complete 2-way loudspeaker with a 4" O.D. Woofer, 3/4" dome tweeter, 20W-70V low loss, extended frequency response rotary select transformer with an 8 Ohm position. Multiple position "U" bracket included. Finish is Black. 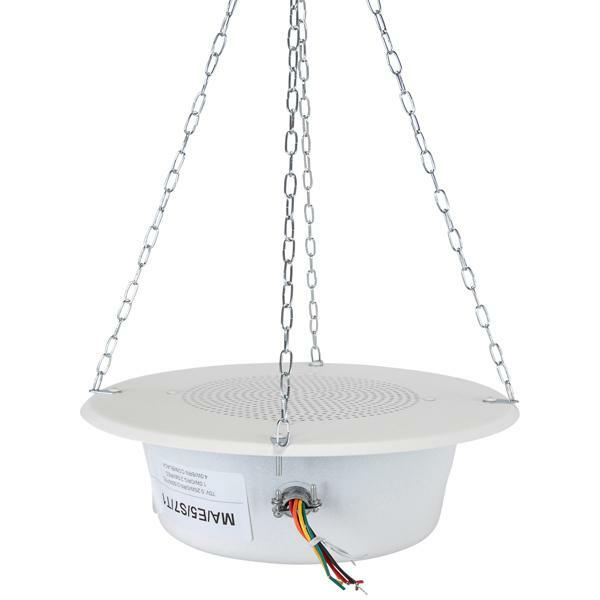 The FM4X1/70/W is complete 2-way loudspeaker with a 4" O.D. Woofer, 3/4" dome tweeter, 20W-70V low loss, extended frequency response rotary select transformer with an 8 Ohm position. Multiple position "U" bracket included. Finish is white. 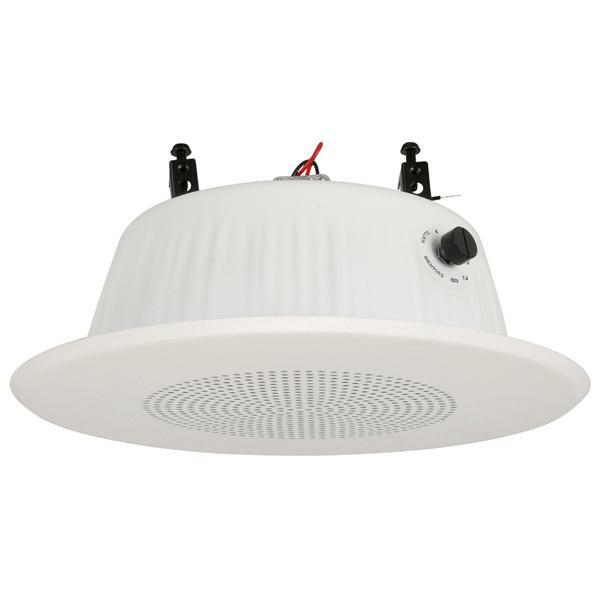 The H16/RVP is a complete loudspeaker assembly consisting of a double re-entrant horn, compression type loudspeaker mounted on a BR8VP - round, steel, stud mount, vandal resistant baffle - with a 16W-25/70V transformer in a white powder coat finish. Tamper resistant, 8-32 x 1" 'pin-in-torx' hardware included. 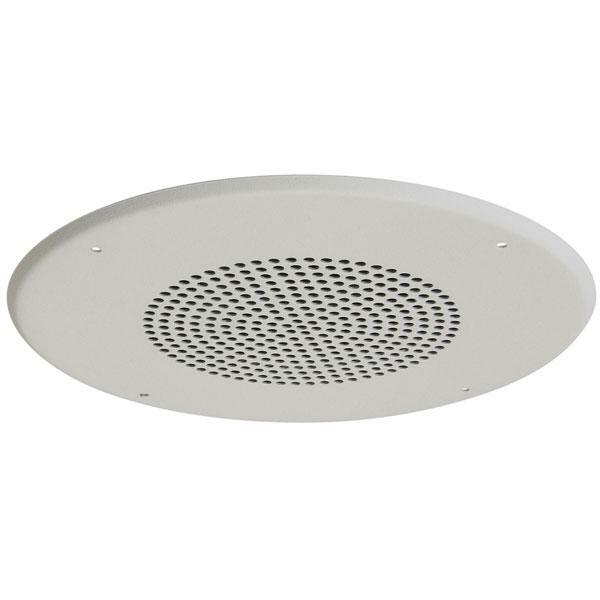 The H16/SVP is a complete loudspeaker assembly consisting of a double re-entrant horn, compression type loudspeaker mounted on a BS8VP - square, steel, stud mount, vandal resistant baffle - with a 16W-25/70V transformer in a white powder coat finish. Tamper resistant, 8-32 x 1" 'pin-in-torx' hardware included. 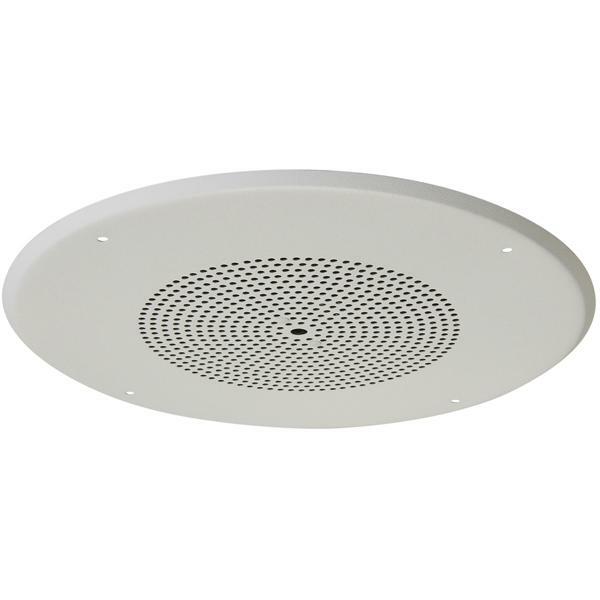 The MA/E5/S7/T1 is an 275 CID, sound masking loudspeaker assembly consisting of an 8C5PAX - 8" O.D. dual cone loudspeaker with a 5 oz. magnet and a TBL70 - 4W-70V transformer. 4' suspension chain is supplied. 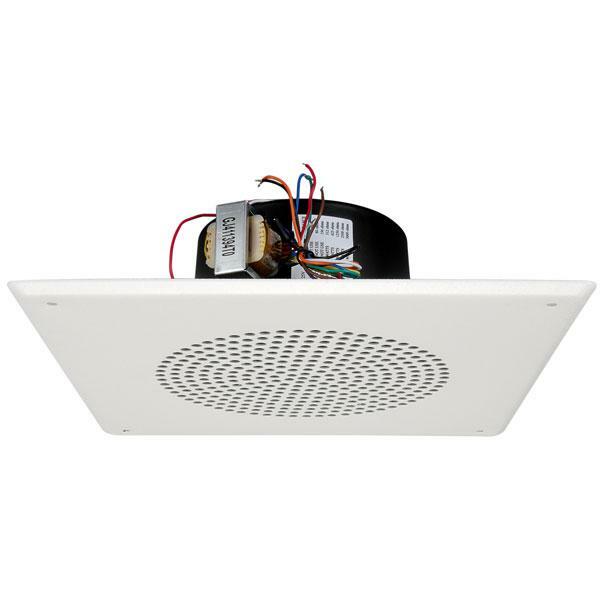 The MA/E8/S2/T1 is a 690 CID sound masking loudspeaker assembly consisting of an 8C10PAX - 8" O.D. dual cone loudspeaker with a 10 oz. magnet and a TBL70 - 4W-70V transformer. 4' suspension chain is supplied. 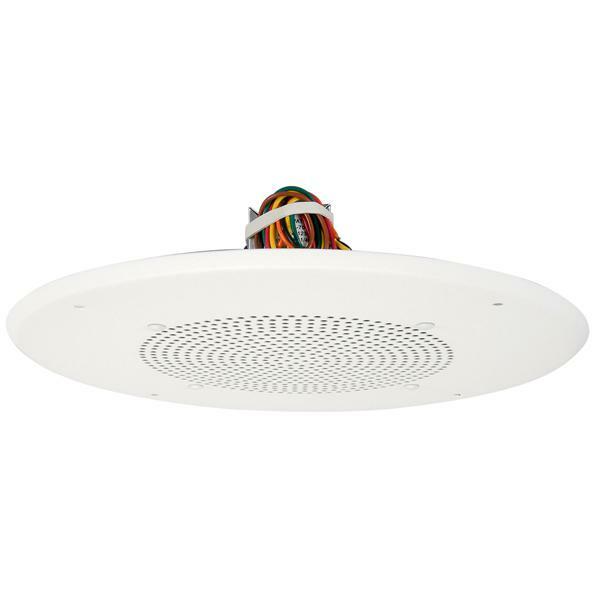 The QC10 is a UL Listed, single-gang, 20W, ten-step, continuous rotary, audio level attenuator with an OFF position. 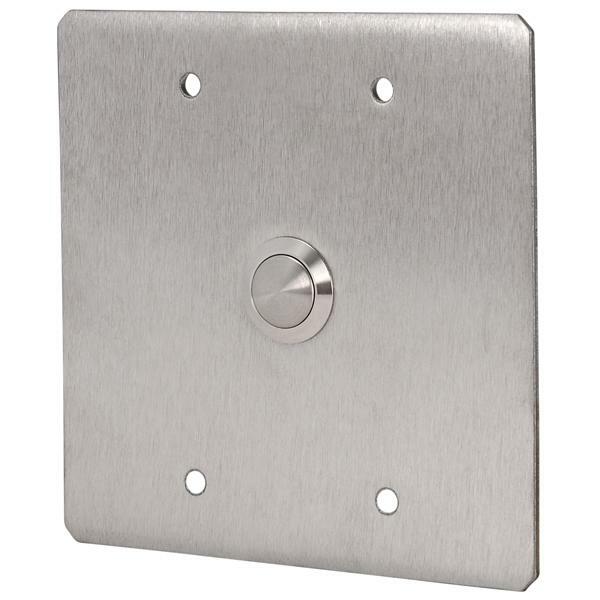 Stainless steel faceplate with embossed positions and a black knob. The QC100 is a UL Listed, 2-gang, 100W, ten-step, continuous rotary, audio level attenuator with an OFF position. 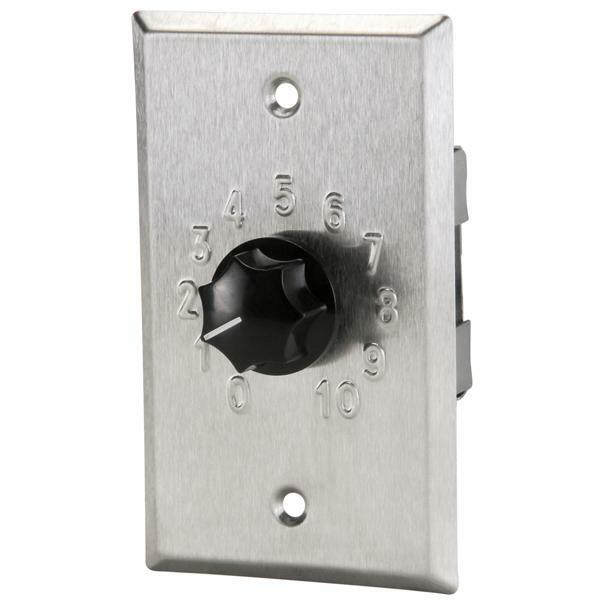 Stainless steel faceplate with embossed positions and a black knob. 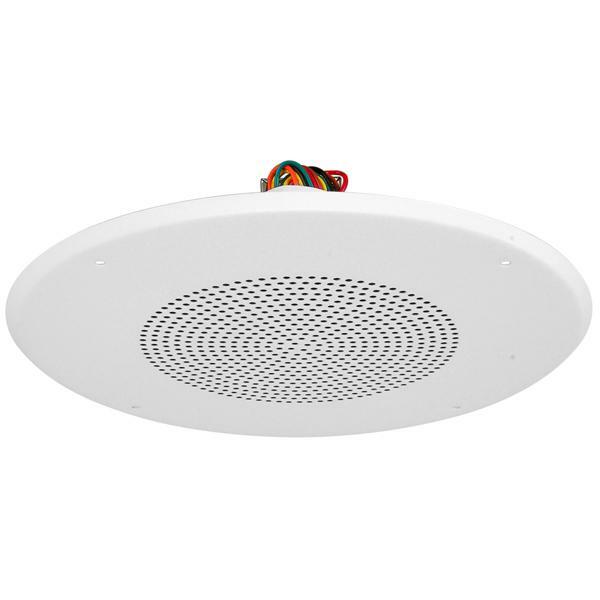 The QC101 is a UL Listed, single-gang, 100W, ten-step, continuous rotary, audio level attenuator with an OFF position. 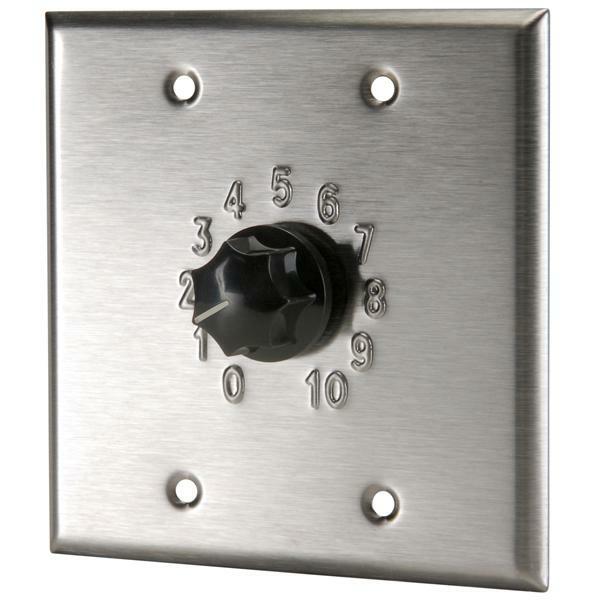 Stainless steel faceplate with embossed positions and a black knob. 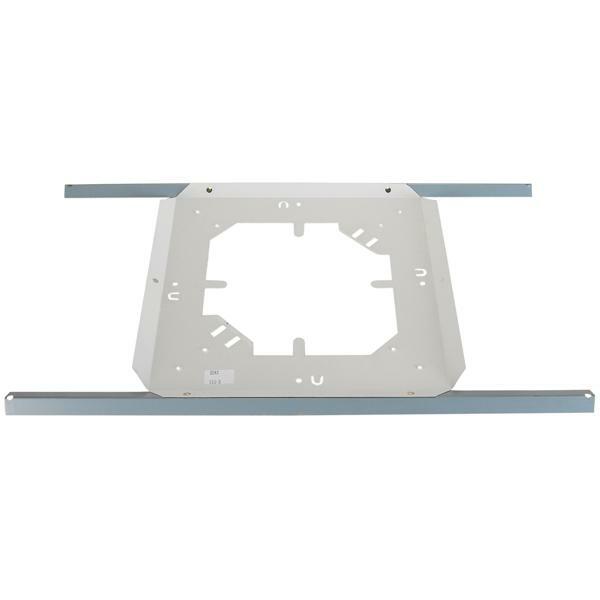 The SSB-3 is a rust resistant steel, load bearing support for loudspeaker assemblies in a drop-tile ceiling grid.